NEW YORK, NY – October 12, 2018 – Shavonte Zellous’ infectious personality is always paired with a game ready disposition. 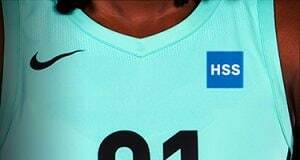 However, on July 19, that was stopped momentarily when the ninth-year guard suffered what would be a season ending injury with just 22 games under her belt. Though a setback from a season ago where she had suited up and started in all 34 contests, Zellous’ contribution was still appreciated. Starting in all 22 of her outings, she averaged 8.2 points per game while netting 42.3-percent of her looks. This matched her shooting clip from a season ago. She made a season-best six field goals on two occasions. This included a come-from-behind-win against the Dallas Wings on May 29. Against Dallas, Zellous rose to the occasion with the shot clock running down by hitting a go-ahead pull up jumper to propel the Liberty to their first lead of the game after experiencing a 16-point deficit at the half. Dallas also proved to be a game full of highs for the guard as she registered a season-high 19 points on a near 50-percent shooting clip, pulled down six boards, went 6-of-7 from the charity stripe, and dished out a career-high nine helpers in 33 minutes of action. 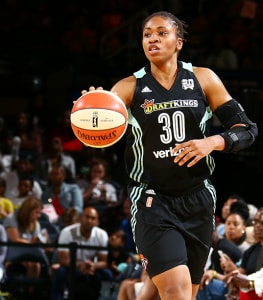 Another regarded effort from the veteran came during a “payback” game on July 11, which avenged an earlier season buzzer-beater loss to the Connecticut Sun. The Florida native shot close to perfect from the field at 85.7-percent on 6-of-7 shooting. Her one triple of the game proved to be the most important of the night. With the clock winding down, she banked the game winning three from what looked to be a stellar defensive effort by the Sun, rewarding the Liberty to a 79-76 victory. Dropping dimes has been a rising statistic for the 5’10 guard. 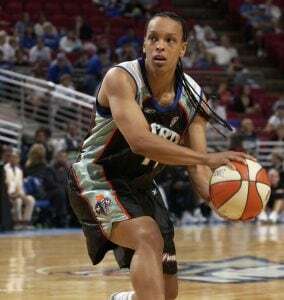 Just a season ago she averaged a career best 2.8 assists per game. This year, she upped her average to 3.0 assists per contest, the most in her career. 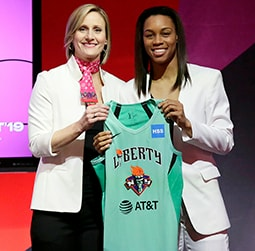 In July, she had a three-game span against the Connecticut Sun, Chicago Sky, and Dallas Wings where she handed out four helpers and had double digit scoring performances. Before being sidelined for the remainder of the season, she reached the double-digit scoring mark in 10 contests.